On behalf of our entire city, I welcome you to Portland!! Right outside and across the street from where you’re sitting - is the Willamette River. In 1843, two men, William Overton and Asa Lovejoy paddled up that river to this spot and laid claim to the site of our future city. The fee for filing that land claim was 25 cents! And they couldn’t agree on the name of this new city so, in 1845 – they flipped a coin to determine whether the city would be named Boston or Portland - (here’s the actual penny)! Thank goodness I am not welcoming you to Boston, Oregon!! Two decades later, in 1864, Thomas Kay started the first woolen mill in Oregon which, in 1909, his grandsons - the Bishop brothers - launched Pendleton Woolen Mills.Today, over one hundred years later, Pendleton is a 6th generation local textile and apparel company. I’m wearing a dress curated from their current Portland Collection. Fast Forward. At the turn of the 20th century, in 1912 – we Portlanders planted our first official public rose garden and thus became known as the City of Roses. Also during that decade - -one of our more famous forefathers, Simon Benson, began installing free water fountains all over the city. Local folklore insists it was an effort to “keep loggers out of the saloons at lunchtime.” Others say that it was Bensons’ effort to assure that “decent and upright citizens of Portland didn’t have to enter a tavern for a drink.” Today there are 126 bubblers and they’re all over town, in front of taverns, micro-breweries and even city hall. When you are out in our city this week, take a sip and enjoy this pristine water that has been free-flowing from the Bull Run watershed to Portland for over 100 years. 1938 – Oregon’s one tough mother – Gert Boyle’s family buys a hat company and begins the Columbia Sportswear company’s empire. 1972 – Bill Bowerman and Phil Knight ruin Bill’s waffle iron by making Nike’s first running shoes. 2000 - Portland becomes the first US City to herald sustainability with real results - in both successfully reducing carbon in its downtown, and in reversing the downward trend of transit ridership and bike commuting to the highest per capita in the country. And just last month Fashionxt, Portland’s banner fashion forward event - walked our models down the runway made of solar panels. 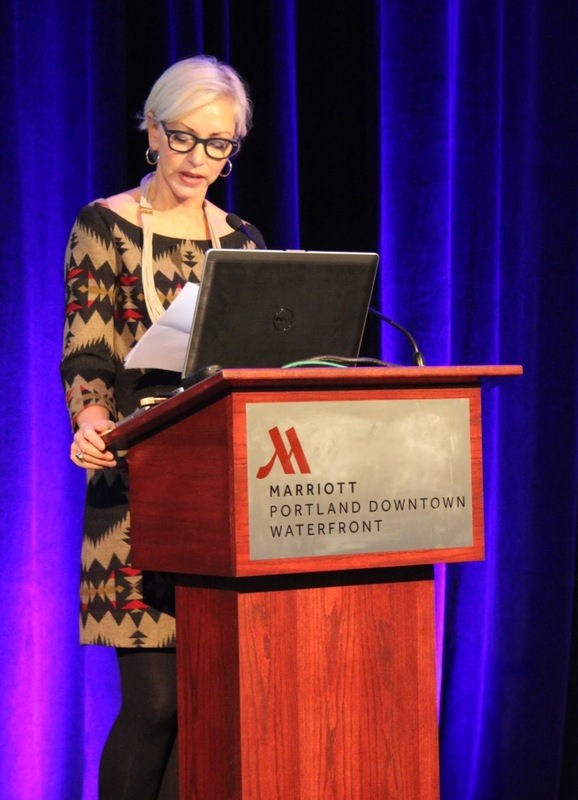 So, you see, we in Portland have been getting ready for you, … and for the 2014 International Textile Sustainability Conference for a very long time! Let me share with you the Portland I love. It’s here in Portland, where we blend craft with innovation. Slip out after today’s sessions and visit Caleb Sayan. Caleb is a recent NYC transplant who founded the Textile Hive – a 40,000 piece textile collection, some are over 240 years old. Each piece has been curated, digitized, and is accessible for makers, designers, and experimenters who are using the incredible collection for the next great idea. It’s here in Portland where we blend garment production with sustainable fair employment practices. – take the #15 bus over to one of our emerging ‘hipster’ neighborhoods, Montevilla and visit the Portland Garment Factory. Meet co-owners Britt Howard and Rosemary Robinson (tell them the First Lady sent you). When you walk into their production house, it feels a little like a mini-UN. I’m not sure how many languages are spoken there, but the company’s commitment to fair trade and sustainable practices make it a model for success, and for keeping manufacturing jobs at home. It’s here in Portland where we blend business values with social values. Visit Pensole --it’s actually close-- take the Yellow Max line to Old Town. Meet Pensole founder D’Wayne Edwards, a Nike footwear designer turned “philanthropist entrepreneur.” His company is a footwear design/fabrication academy - a school, actually, that scholarships poor kids so they gain a skill, launch a career, and maybe even design the next Air Jordan. It’s here in Portland where we blend competition with collaboration. Stop in at ADX, - and meet founder Kelly Roy. 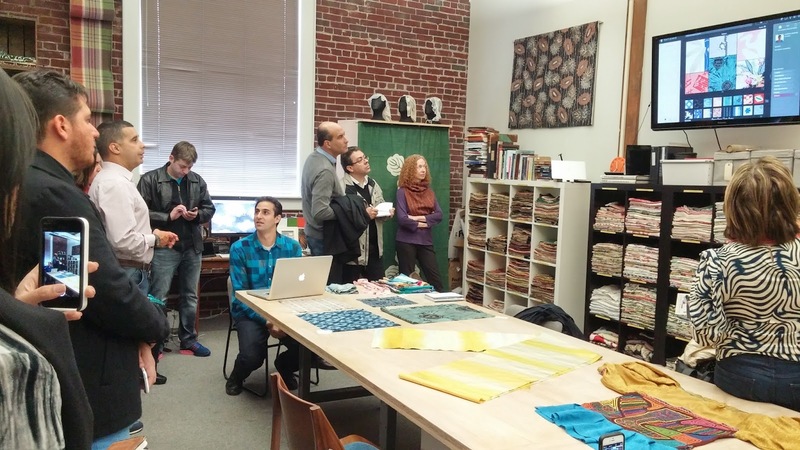 ADX is a maker’s space over on our Central East Side. Portland is a hub of innovation, and ADX is an incubator for welders, carpenters, designers, boat builders, and artisans. Tools, knowledge and space are all shared. Perhaps, as ADX has found the future of innovation is in collaboration, versus competition…..
It’s here in Portland where we blend the practical with the aspirational. We’re ready for you, and your conference. Thank you, and enjoy our city.